Cyber Monday deals are live and running! Alright, there are some crashing experiences going on too. But, mostly the deals are good and we certainly won’t be seeing such huge discounts till next year’s holiday season. Smartphone Cyber Monday deals are one of the most wanted and yet least offered deals of the year. However, there are some that you might like enough to order online! While Samsung is not offering any deals on its varied range of smartphones (very generous of Samsung), there are others. You can get a good Galaxy S4 Cyber Monday deal from Walmart. Walmart is selling Samsung Galaxy S4 for $138 on contract with a $100 gift card. This will bring the price down to $38 with a two year contract. This Cyber Monday smartphone deal is only available with AT&T contract though. Another Galaxy S4 deal? 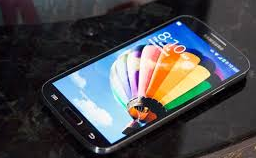 T-Mobile is also offering Samsung Galaxy S4 Cyber Monday deal with 24 monthly installments of $21. This brings the price down to $504 from $600 and no huge cash needs at once too. AT&T is offering HTC One and Moto X for FREE with a contract of two year. Likewise, Verizon is offering LG G2 free with a two year contract. These three smartphone Cyber Monday deals are giving you good discounts with NO payment for the device itself. Best Buy is offering HTC One Max on Verizon and Sprint with a $100 discount; off from $250 price. As shared with you earlier, T-Mobile is also offering a tempting deal for iPhone 5s Cyber Monday. T-Mobile deal is valid for various other top notch smartphones too.